Thanks to Dr. S. Rajendiran, Sri Ramachandra University (India) for contributing this case. To contribute a Case of the Week, follow the guidelines on our Case of the Week page. 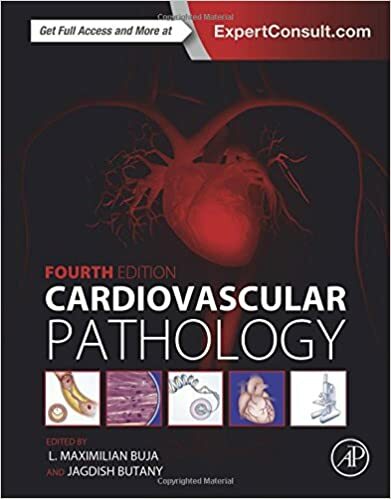 New Books Listed on PathologyOutlines.com! To view more books recently listed on our site, visit our New Books page. Be sure to visit our Buyer's Guide to learn more helpful information about the products and services offered by these companies for pathologists! (2) As of 23 December 2015, we have officially converted all of the topics in the Stains chapter into our new format. We have also rearranged the images so those posted on our server appear first, and corrected any bad links. Please let us know if you notice any problems or issues as you are browsing those pages. Look for the conversion of CD Markers next. (3) Congratulations to Dr. Jerad M. Gardner, a member of our Editorial Board, for his Resident Advocate Award granted to him by CAP! Because of his continual contributions and support to pathology residents and fellows, Dr. Gardner has become an indispensable member of many teams, ours included. Join us in thanking him for all this work for PathologyOutlines.com, and the pathology community around the nation! A 51 year old man had a 6 cm parotid mass for 8 years, which was excised (superficial parotidectomy), revealing a multinodular, yellow-white mass. Basal cell adenoma of the salivary glands was first described by Kleinsasser and Klein in 1967 (Arch Klin Exp Ohren Nasen Kehlkopfheilkd 1967;189:302). Basal cell adenomas are rare, accounting for 1.5% of all epithelial and 2.4% of all benign salivary glands (Tumors of the Salivary Glands (Atlas of Tumor Pathology), 3rd Series). Most occur in the major salivary glands and there is a 2:1 female predilection. Morphologic subtypes include solid, trabecular, trabecular-tubular, membranous and tubular (Mod Pathol 2002;15:298). Membranous basal cell adenoma (MBCA), also known as dermal analogue tumor, occurs mainly in the parotid gland but may arise in parotid lymph nodes (Mod Pathol 2002;15:298, Cancer 1977;39:2460, Cancer 1977;40:1702). 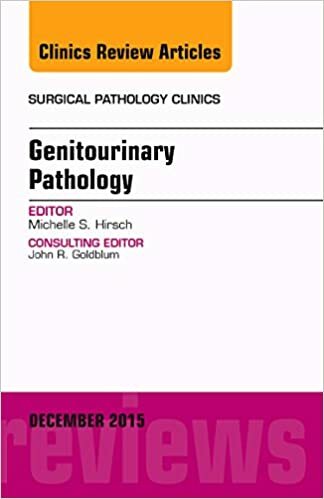 Cutaneous tumors have been reported in 25-38% of individuals with membranous adenomas of the salivary gland (Clin Otolaryngol Allied Sci 1981;6:129, Cancer 1987;59:1165), and these cases may be associated with the salivary gland-skin adnexal tumor syndrome (Brooke-Spiegler syndrome), a rare familial autosomal dominant condition of multiple cylindromas, trichoepitheliomas and eccrine spiradenomas (Mod Pathol 2002;15:298). Histologically, all subtypes have a fibrous stroma, lack the myxochondroid matrix of pleomorphic adenoma, and may demonstrate cystic change, squamous whorls, frank keratinization or rare cribriform patterns. In MBCA, basaloid nests and islands of cells form jigsaw patterns and are surrounded by a prominent, hyalinized and reduplicated basement membrane with characteristic coalescent membrane droplets (Mod Pathol 2002;15:298). This diagnosis is difficult based on fine needle aspiration (FNA) cytology due to the rare reporting of its FNA cytology and overlapping cytologic features with some benign and malignant entities (Diagn Cytopathol 2015;43:432). Cytology shows basaloid cells with round nuclei, inconspicuous nucleoli and scant cytoplasm, which surround acellular, dense, homogenous material (Diagn Cytopathol 2015;43:432). MBCA may be multifocal, and most are unencapsulated. These features, in conjunction with the cylindroma-like patterns with hyalinized basement membrane and occasional origin within parotid lymph nodes, may simulate malignancy, especially adenoid cystic carcinoma. Adenoid cystic carcinoma, however, demonstrates greater cytologic atypia and true cribriform patterns associated with a basophilic matrix. The differential diagnosis also includes basal cell adenocarcinoma and basaloid squamous cell carcinoma (Acta Otolaryngol 1998;118:588). Immunohistochemical markers for smooth muscle proteins such as calponin will demonstrate a myoepithelial stromal component, similar to that seen in pleomorphic adenoma (Arch Pathol Lab Med 2000;124:401), although not apparent morphologically. MBCA have a fairly high rate of recurrence (25%) and malignant transformation (28%, Ann Otol Rhinol Laryngol 1991;100:687). Malignant transformation is recognized histologically as a destructive infiltrative basaloid growth beyond the confines of the gland or perineural or vascular invasion. Total parotidectomy rather than superficial parotidectomy is suggested to avoid the recurrence of the tumor, and close follow up after treatment is necessary (Acta Otolaryngol 1998;118:588).